When is killing a non-threatening unarmed teenager not murder? When civil rights don’t matter. When Jim Crow justice prevails. When the victim is black. When mostly white women jurors call cold-blooded murder self-defense. (Note: Juror B29 was the sole Hispanic. Zimmerman’s white. He’s Hispanic. His voter registration form identifies him that way. His father calls himself white. His mother’s Peruvian). Killing Trayvon Martin’s not murder when a jury of peers representing both sides fairly is verboten. When killing black males in America is OK when whites do it. When a culture of violence prevails. When institutionalized racism is longstanding. When conventional wisdom says black males aren’t victims. They’re prone to violence. When equity and justice are four-letter words. When human life has no value. When society doesn’t give a damn if a black male dies. When lawlessness is part of the national culture. George Zimmerman murdered Trayvon Martin. He did so in cold-blood. He’s free to kill again. Wrongfully claiming self-defense saved him. It’s the American way. It’s always been this way. Cold-blooded murder’s not self-defense. Not now. Not ever. Legal proceedings against Zimmerman’s wife remain active. Shellie Zimmerman faces perjury charges. She lied last summer. She did so during her husband’s bail hearing. She wrongfully pled poverty. She did it after she and her husband raised $130,000 through online donations. Washington, DC protesters blocked a busy intersection. Marchers in Seminole County’s seat, Sanford, Miami, and elsewhere demand justice. Trayvon was aged 17. He was an African American high school student. He lived in predominantly white Sanford, FL. On February 26, 2012, Zimmerman murdered him in cold blood. He faced second-degree murder and manslaughter charges. Trayvon was unarmed. He carried a can of iced tea and some cash. He threatened no one. Neighborhood watch captain Zimmerman claimed self-defense. A 2011-established Neighborhood Watch group appointed him captain. It was set up to help local police. He’s a former altar boy turned killer. In 2005, he faced assault charges. He accosted a police officer during an altercation. It was over a friend’s underage drinking arrest. He was a first-time offender. He avoided a felony conviction. The same year, his former fiancee accused him of domestic violence. He counter-charged in response. In 2006, the case ended when both injunctions expired. Stand your ground laws facilitate anything goes. They legitimize vigilante justice. They permit killing. Most US states have them. So does Florida. They wink and nod at murder. They do so if authorities or individuals fear assailants pose serious threats. They expand on the so-called Castle Doctrine. Law Professor Jonathan Turley calls Stand Your Ground, Make My Day, and Castle Doctrine laws abusive and unnecessary. “Legislators are now feigning complete shock at the potential for abuse under these laws after refusing to consider” clear warnings about passing them. Shoot first laws assure trouble. Needless deaths follow. Killers get off scot-free. Wild west justice prevails. Zimmerman wasn’t initially charged. Public outrage forced Florida Attorney General Pam Bondi to act. She appointed a special prosecutor. She pressed second-degree murder and manslaughter charges. Under Florida law, second degree murder is lawlessly killing someone. It excludes premeditation. Proving it requires prosecutors show defendants evinced a “depraved mind” without regard for human life. They must convince jurors that they acted with enmity toward victims or that both parties had an ongoing interaction or relationship. Proving an intent to kill isn’t required. Second degree murder’s mandated if victims die while committing a felony. They include burglary, home-invasion robbery, kidnapping, sexual battery, and other offenses. Prosecutors must show victims died as a result of an act committed by a non-participant in the felony. If the defendant or other criminal participant caused the killing, state law requires first degree murder charges. spontaneous or negligent killing qualifying as manslaughter. If found guilty, Zimmerman faced up to 30 years imprisonment. Life sentences may be imposed if defendants had other felony convictions, including murder. 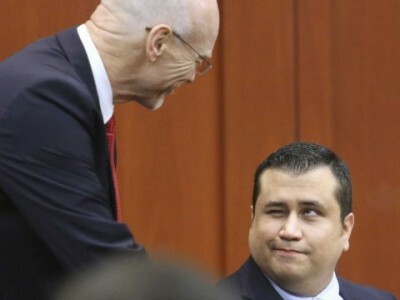 Acquitting Zimmerman reflects Jim Crow justice. Killing a nonthreatening unarmed black teenager doesn’t matter. Stand your ground laws make it easy. It’s the American way.